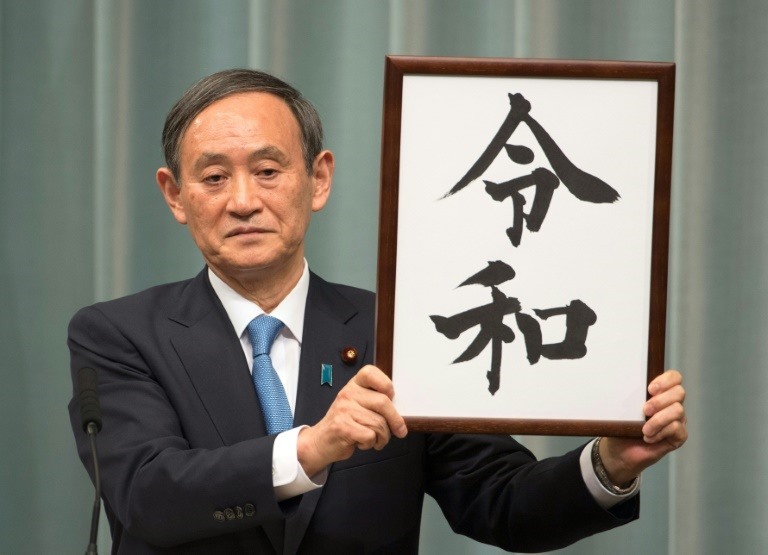 TOKYO — "Reiwa": Japan on Monday revealed the name of the era that will define the new emperor’s reign when he ascends the Chrysanthemum Throne next month following a historic abdication. After weeks of fevered speculation and top-secret discussions, the two "kanji" characters were unveiled to reveal a name that will last as long as new emperor Naruhito’s rule. Prime Minister Shinzo Abe said the term came from the "Manyoshu", an anthology of Japanese poems dating back 1,200 years that "symbolises our nation’s profound public culture and long tradition." Japan has had nearly 250 eras or "gengo" since adopting the system in the 7th century, and in recent times, one era has run the entire length of a monarch’s rule. Junzo Matoba, a former bureaucrat who helped look for new names during the last years of emperor Hirohito’s Showa era in the late 1980s, said: "Japanese people love to ’reset’ things."